While you want your California home’s yard to look beautiful, unpredictable rainfall and limits on water use can make it difficult to maintain. Fortunately, making water-saving upgrades to your home’s yard is possible (and easy!) with hardy desert landscaping and synthetic grass solutions. Having an outdoor hardscape, including paths, stones, or walls, is the first step towards a beautiful drought-resistant yard. Once these permanent features are in place, you can add hardy plants throughout. Native desert plants like cacti, oleander, and pampas grass do well and look great because they can withstand long dry periods. If you prefer the look of a traditional lawn, it’s still possible to achieve with synthetic grass. You can have a lush, green lawn without having to mow it or use any water to maintain it. It’s a perfect solution if your family wants to play outside in the yard regularly. Landscaping accounts for about half the water Californians use, according to Sunnyslope County Water District. Imagine not having to use any water to maintain your yard while still having it look beautiful! Water efficiency upgrades make water conservation an achievable goal. They also allow you to easily maintain the beauty and curb appeal of your home. If you’re interested in conserving water and still having a beautiful yard, you can get help financing your project from our CaliforniaFIRST program. You can finance the purchase and installation of synthetic grass so that you’ll be able to enjoy the view every day and pay for your improvement over time. If you’re interested in creating a desert landscape for your home, you can finance permeable ground covers, including decomposed granite, pavers and patio stones with a minimum of ¼” joint spacing, gravel, rock, boulders, stone, and synthetic grass underlayment through CaliforniaFIRST. By adding these hardscaping elements, you’ll add interest to your home’s exterior without having to concern yourself with maintenance and watering. 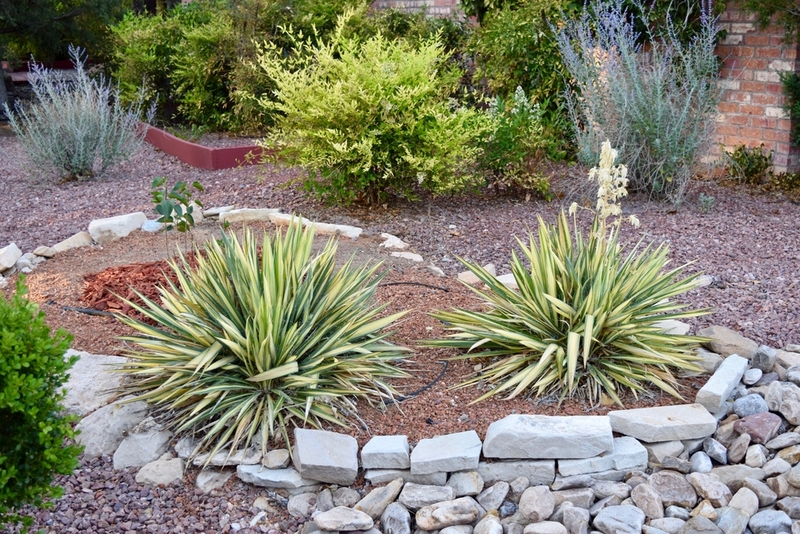 Whether you want a large, green yard or prefer the simplicity of a desert landscape, CaliforniaFIRST PACE financing can help you upgrade your yard for water conservation with $0 down. With flexible 5-25 year repayment terms, you’ll receive 100% upfront financing that you repay through your property tax bill. This will allow you to spread out the cost of your upgrade, helping you to increase your home’s water efficiency sooner, reduce the time dedicated to the upkeep of your home’s landscaping, and stay ahead of potential future drought rules. Check your eligibility or call us at 844-589-7953 to learn more water efficient yard upgrades and how you can start your project today.